When you walk up to Olive & Gourmando you notice this little bench outside. At first I was wondering why is this thing so randomly there and then when we went in and gave our name for a table and had to wait, I discovered how useful this bench is. Expect to wait around 20 minutes when you go. The place is often full but for good reason. The inside has lots of seating and windows make it well lit. There is a cash register and baked good counter at the entrance and then an order counter near the end. Basically, you get seated and are given a number line up then you look at the mounted menu, place your order and sit and wait for the food to arrive. Since this was a birthday treat, I was technically not “on the job” so my notes are based on memory. I may get the name wrong on a dish and I forgot the price on two drinks but I do have pictures and I do remember how it tasted. The menu is more of a simple breakfast menu with only a few items that are not your classic bacon and eggs dishes. There are many more lunch dishes but I still feel it’s worth reviewing since the food was great and it’s open almost every day of the week except Monday and Sunday so it’s useful if you find yourself in the area. We started off with some lemonade drinks and I don’t recall the price but it was under $5 and it was very refreshing. I had an iced tea and my fried had another one. We then went to the main dish. I ordered the breakfast sandwich “poached egg on your face” ($9.25). Apparently, they tend to run out of these so if you get there late, they may be out. 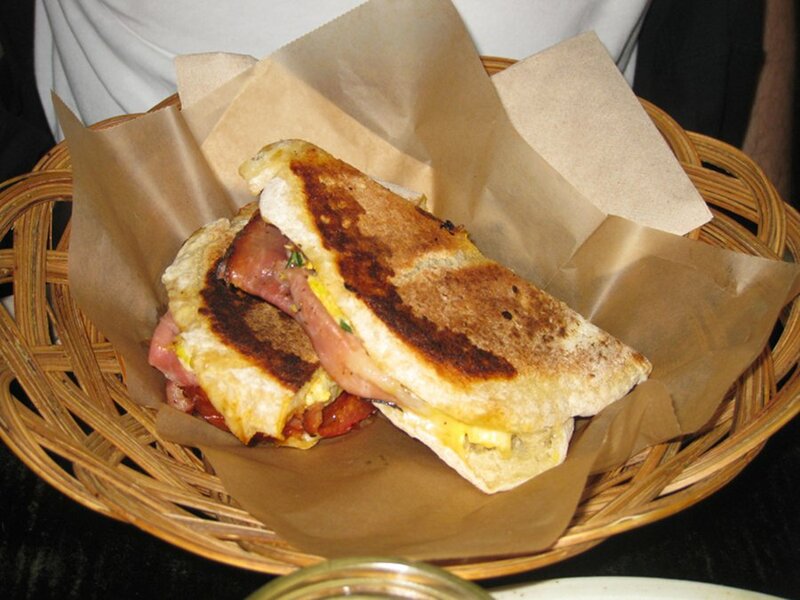 The sandwich is a warm grilled Panini filled with poached eggs salad, cheese, prosciutto and roasted tomatoes. This sandwich was the last one left and I felt bad that my friend could not have it but after I took my first bite I didn’t feel bad anymore. It was honestly amazing (ok so I shared with my friend, I’m not a food monster, but really this sandwich was spectacular). The bread was not too crusty and not too soft, the eggs salad was very filling, and the prosciutto complimented the meal and did not overpower it. 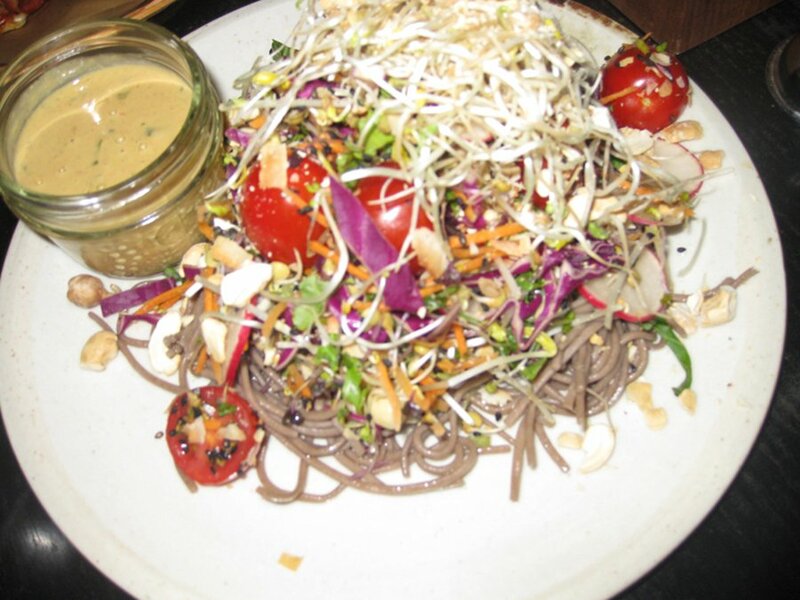 My friends dish was a salad, but not just any salad; she had the Herbivore ($14.00) which is a salad comprised of soba noodles, mixed raw vegetables, toasted coconut, black sesame seeds, and a cashew dressing. This dish was very filling and the cashew dressing was quite unique and refreshing. I feel that the dish was well worth every penny and was a healthy treat to try out. To top off our meal, we went for two desserts. One was a tart with whipped cream, honey and strawberries which was just a few dollars. The presentation was breathtaking. In fact, the lady next to me kept staring at it and, to be honest, I was almost feeling uncomfortable. A few minutes later she ordered the same thing. This dish was very refreshing as the whipped cream was delectable, the strawberries were bursting with flavour and the dough of the tart was not too crispy, yet chewy, when you bit into it. This was an ideal dessert and the only thing that could have beaten it was the brownie. 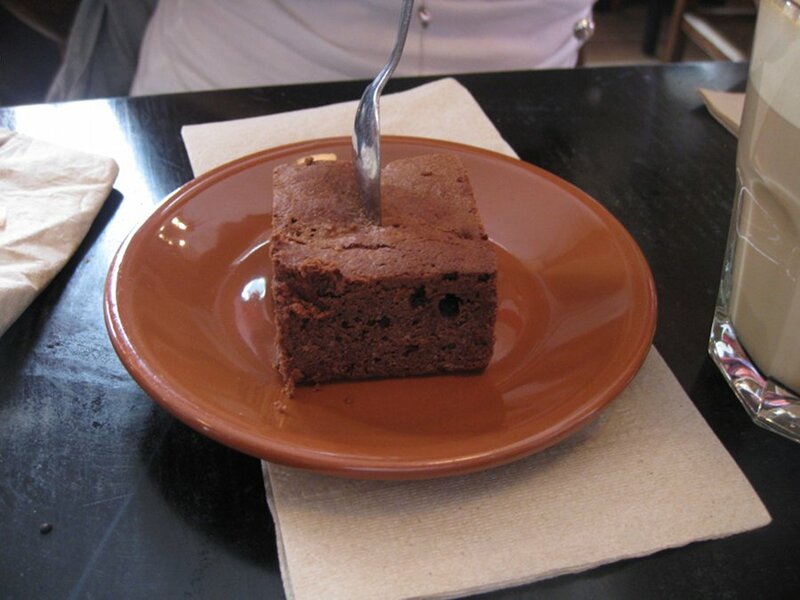 Ahhh, sweet delicious brownie ($3.75), how I love you. Your taste is so rich and your presence is so dark and beautiful. Honestly, the brownie alone is outstanding and it’s worth the trip. They use real Valhrona chocolate, the real stuff they use in Europe. 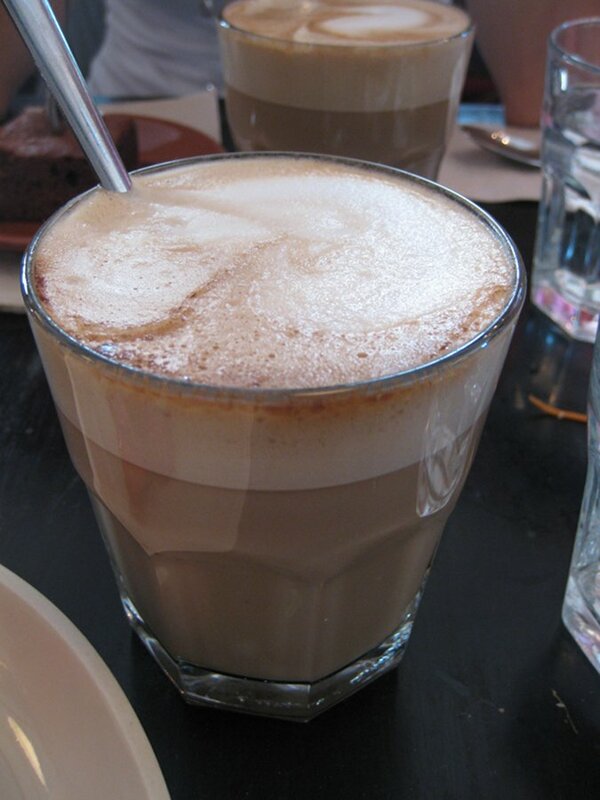 The taste has a touch of tart and is so rich that your senses are overloaded, in a good way. If you do not like this brownie there is something wrong with you, or you have a nut allergy. Service is really nice here and they are incredibly efficient considering how jammed packed they get. The greeter was fun and cool and the people we ordered from were nice and explained the items well. In fact, even before we got in, my friend requested the breakfast sandwich be put aside and they did that. Now, that is service! 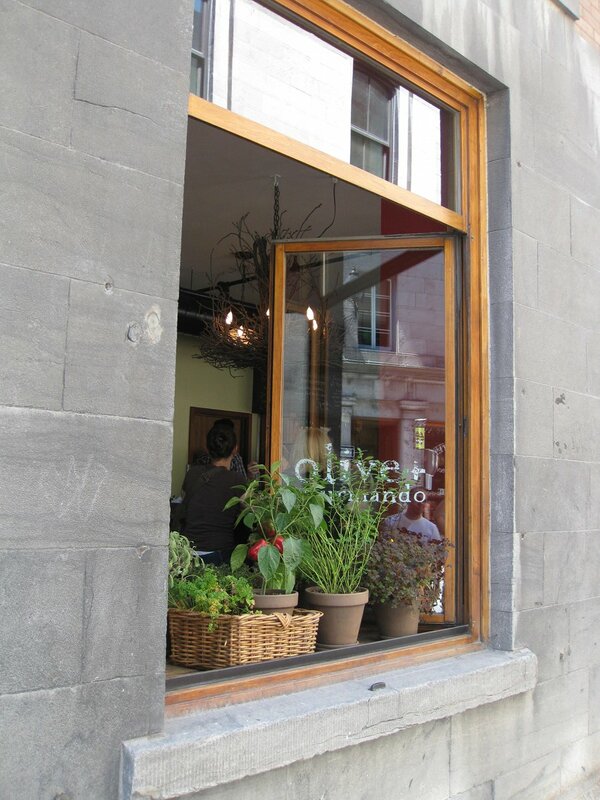 There are vegetarian and vegan options which makes Olive and Gourmando that much more impressive. The salads have vegan choices and most items on the menu are vegetarian friendly. Overall, meat is not a prominent theme at all. So, for once, vegetarians and vegans have more than one option. This place is a gem and well worth the wait . Do not expect your classic, bacon and eggs dish as they won’t have it. What they do have is small, lovely, healthy and tasty menu. 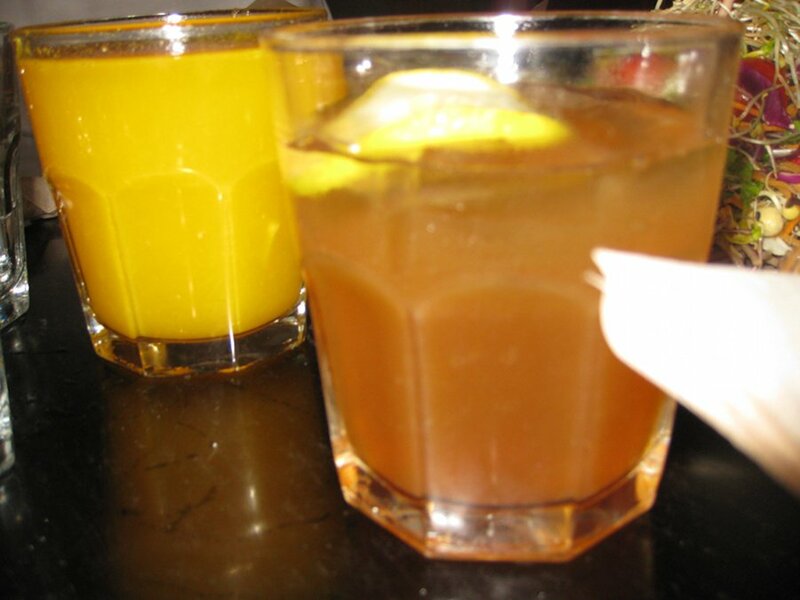 The sandwich was great, the desserts amazing and even the drinks are good. The fact you can get vegetarian and some vegan options makes it even more amazing. I LOVE the fact its open weekdays; although, sadly, closed Sundays and Mondays.